What is Your Rising Sign and How Does It Affect Your Personality? We all know what our astrological sign is…I’m a Capricorn! But, what about your rising sign? My rising sign is Cancer. What does that mean and why would you want to know? Well, one’s rising sign is a very important piece of your astrological profile. The other day Bridgette and I were talking and I mentioned that I felt that she and I shared a few similar qualities and I went on to explain the concept of rising signs. Bridgette is a Cancer, and as I said, I am a Capricorn. Very different sun signs. Actually, we are astrological opposites! 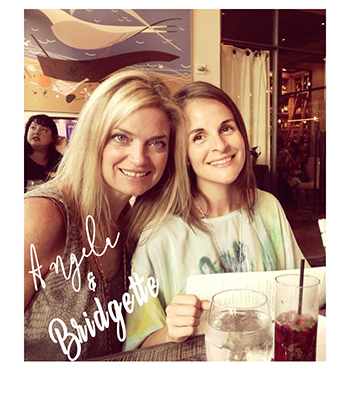 But, Bridgette and I have discovered over the course of our friendship that we do have some similar qualities – among other things, we both love being at home; we both crave and need alone time; we both feel affects on our mood based on the weather and the moon; we are both quite sentimental and sensitive. I’m guessing that this is due to the fact that my rising sign is Cancer, the same as Bridgette’s sun sign! Obviously, many people can relate to these qualities. But, they may be due to something in your astrological chart! In technical terms your rising sign, or “ascendant” as it is often called, is the sign that was rising over the Eastern horizon at the time of your birth. It illustrates your outward self: a social mask of sorts… Your rising sign influences peoples first impression of you, how you interact socially, and how you view and relate to others. The self you project to the world is most often perfectly balanced blend of our rising sign and your sun sign. The main thing to keep in mind when learning about your rising sign is that unlike you sun and moon signs, your rising sign reflects a more superficial, outward personality. Having a Sagittarius ascendant will not make you a Sagittarius, but it will probably help you relate to and attract other Sagittarians. If you have ever been puzzled by how others describe you, it could be they have encountered the rising sign qualities. It may not be how you see yourself at all! So, are you ready to find out what your rising sign is? You’ll need 2 pieces of information: where you were born and at what time. You must know this in order to determine your rising sign with any accuracy. If you’ve got that you can go to a number of websites like Astrology Cafe, Astrosofa, or Horoscopes Within to find out what your rising sign is. An Aries Rising makes you appear more…open, lively, independent, and dominant. A Taurus Rising makes you appear more…calm, steady, sensual, and centered. A Gemini Rising makes you appear more…talkative, witty, positive, and curious. A Cancer Rising makes you appear more…shy, subtle, kind, and intuitive. A Leo Rising makes you appear more…magnetic, expressive, strong, and warm. A Virgo Rising makes you appear more…reserved, observant, analytical, and nervous. A Libra Rising makes you appear more…charming, optimistic, balanced, and socially adept. A Scorpio Rising makes you appear more…secretive, quiet, brooding, and mysterious. A Sagittarius Rising makes you appear more…jovial, direct, opinionated, and honest. A Capricorn Rising makes you appear more…diligent, practical, serious, and detail oriented. An Aquarius Rising makes you appear more…idealistic, progressive, contrary, and friendly. A Pisces Rising makes you appear more…romantic, sensitive, vague, and artistic. So what do you think? Did they get it right? Do you have some characteristics of your Rising Sign? Please feel free to share your thoughts in the comments section below. I’d love to hear from you! Previous PostAre You Ready for Some Football… Party Foods! Next PostGift Ideas for Your Galentine!